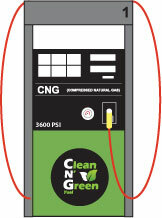 Home » news » New Clean N’ Green Fueling Station in Gastonia, NC! Posted | Comments Off on New Clean N’ Green Fueling Station in Gastonia, NC! Waste Management and PetroCard announced the opening of the Clean N’ Green Fuel Station in Gastonia, NC on October 16th, 2014.